For the first time since their children were born, empty nesters Judith and Stan Winters spent Thanksgiving without the kids, and it's looking like Christmas will be the same. Judith can't bring herself to even start decorating for the holiday; her kids always hung the first ornaments on the tree, ornaments they had made each year since they were toddlers. Sure they were strange-looking--some could be called downright ugly--but they were tradition. A tradition she's heartbroken to miss this year. With Judith refusing to decorate the bare spruce tree in their living room, Stan knows something must be done. And his only hope for saving the holiday is found in a box of handmade ornaments. Fan-favorite Dan Walsh invites readers to enjoy this nostalgic Christmas story that celebrates all of our most cherished seasonal traditions, especially the importance of family. 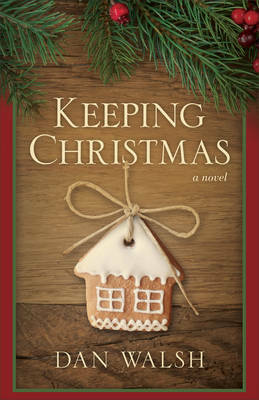 Readers will join in remembering the things that make their own Christmas season so special.